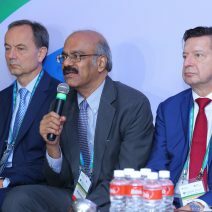 Under the leadership of WEO’s president (2014 – 2017) Dr Nageshwar D. Reddy, ENDO 2017, the 1st World Congress of GI Endoscopy, welcomed more than 3500 delegates from 78 countries who benefitted from the skill and knowledge from 234 faculty members, in Hyderabad, India, from February 16-19, 2017. 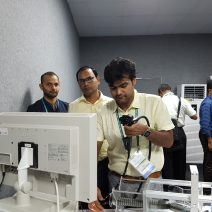 With three days of live endoscopy broadcast from the brand new and magnificent endoscopy unit of the Asian Institute of Gastroenterology, participants witnessed over 52 cutting-edge procedures performed and assisted by 70 world renowned experts and Dr Reddy with his excellent team. 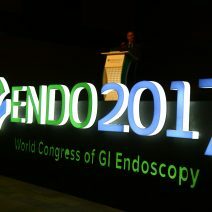 Although the live endoscopy hall was packed throughout the meeting, parallel sessions were also brimming with participants. The ENDO 2017 scientific program recognized the latest achievements in endoscopy and in parallel addressed the increasing complexity faced by endoscopists. Alongside the parallel scientific sessions, a comprehensive hands-on training area was offered. Here, under the expert guidance of specialists from centres in Japan and South Korea amongst other, delegates had the opportunity to learn from the best of the best. With over 600 abstracts accepted, including over 100 with videos, the poster area was also well visited. Of these abstracts, the top 30 received prizes and, in total, 42 abstracts were accepted for oral presentation. Many delegates expressed their satisfaction at having a congress dedicated entirely to endoscopy with such a varied and extended program. 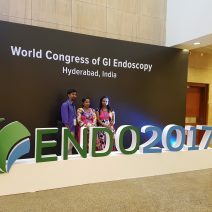 The inaugural world congress proved to be the ideal platform where the endoscopy community met to stimulate international exchange and to establish best practices. View and download the ENDO 2017 Scientific Program. View and download the ENDO 2017 abstracts in the ENDO 2017 special issue of DEN – Journal of Digestive Endoscopy.